Ask yourself what is the main objective for every product that you post on your e-commerce website? Get more sales? Sales are a major goal but you know to improve the sales you need to maximize your conversion rate. This may seem obvious to most business owners, far too many websites are neglecting this essential element. This directly results in poorer sales. Optimisation is a buzz word within e-commerce. Most businesses focus on landing page optimisation, advert optimisation, Opt-In optimisation etc. Product image optimisation is often neglected. You may be sacrificing a tonne of visitors to your website once they have landed on your product page, the photo of your product is always the first thing that captures attention. Using the online retailer Amazon as an example. Amazon always positions the images at the beginning of any listing. The super important bullet points how much further down the page. Think about the last time you visited Amazon, what was the first thing that you did when you landed on a product page? Did you look at the images prior to doing additional research, looking at the bullets and informative details? Everybody does the same thing. The first way that a user make sure that a product matches any expectation is to look at the product image. Images are processed by humans over 50 thousand times faster than text. In a 2016 Amazon product information report, it was discovered that product images and descriptions are essential. The report based on consumer responses noted that over 93% of those surveyed thought that product images are critical for online shoppers. This makes total sense for a visitor to a website cannot physically put their hands on a product, all look at the product at first-hand. 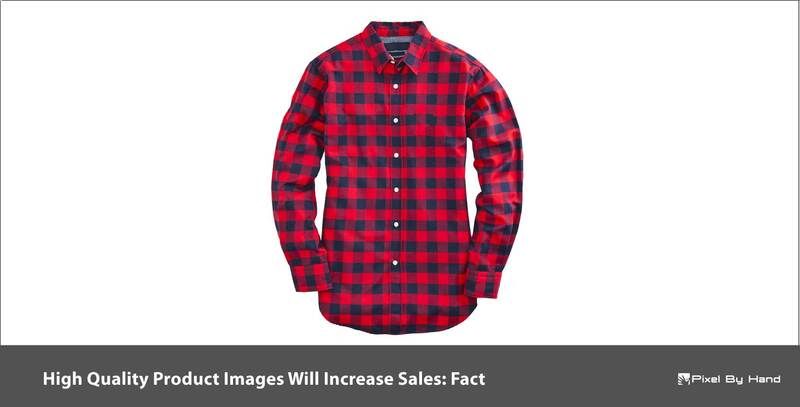 Product images are the main way of persuading a visitor to buy. This is how important product images are to your business. A potential buyers purchase decision can be completely swayed by your images. There is one key to producing high converting product images. It is, the closer the visitor’s experience with your product photos to real life, the more likely the visitor is to complete a purchase. Product images. Edit like a pro… Or hire someone to do it. When you have probably spent a lot of money setting up your website and purchasing your products for sale, your product images are the last place you want to cut corners. Images speak a thousand words, you only get one chance to show your visitors exactly how amazing your products are. The Internet is filled with websites displaying poor product images. Having high-quality product images is one of the simplest methods to make your website stand out from the crowd. If you feel you are unable to edit your product images yourself, then you can simply outsource to image editing professionals who should already have the necessary know-how in producing great product images. Excellent product images directly lead to increase traffic, higher conversions and happy customers (lower return rates). You simply cannot afford to neglect your product photography. After all your business prosperity relies on it. If you need help editing your product images we can help. Each and every business we work has an allocated point of contact. If you have any questions about this or any aspect of image presentation or optimisation then we are available to help.